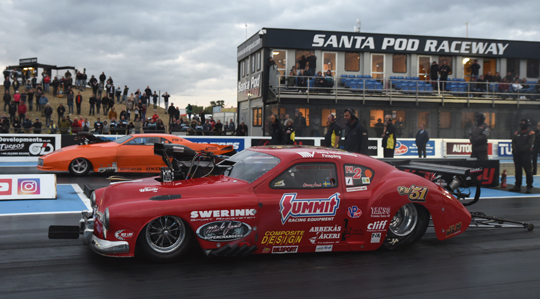 Anita Mäkelä (Top Fuel), Dennis Habermann (Top Methanol), Jimmy Ålund (Pro Modified) and Bengt Ljungdahl (Pro Stock) claimed the 2018 FIA European Drag Racing Championship titles in style by claiming the victory in their respective category at the European Finals at Santa Pod Raceway, the final round of the 2018 FIA European Drag Racing Championship. 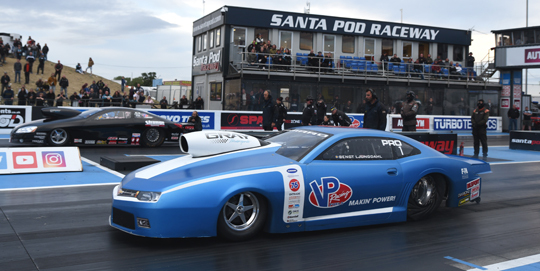 The European Finals at Santa Pod Raceway was the sixth and final round of the 2018 FIA European Drag Racing Championship. 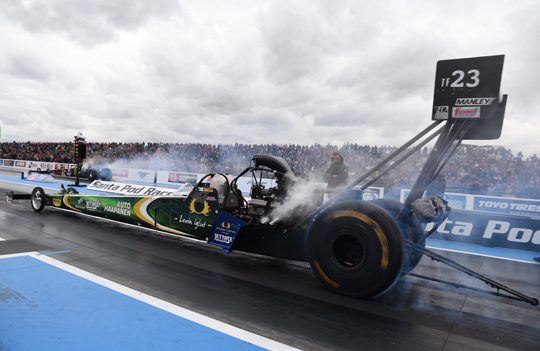 The track conditions were great again and thanks to the cool air temperatures many personal bests were reset and in Top Fuel Anita Mäkelä even reset her European elapsed time record from two weeks ago to 3.870 seconds. 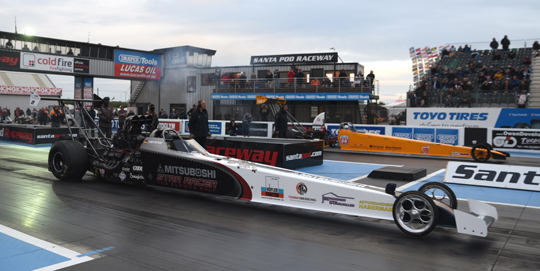 In Top Fuel the championship was decided in qualifying when Anita Mäkelä qualified for the race and gained the points she needed to claim the 2018 title. 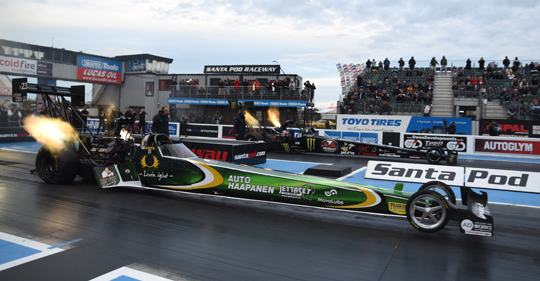 But the Finnish racer wanted to clinch the title in style and stormed into the number one qualifying position with a new European Top Fuel elapsed time record of 3.870 seconds. 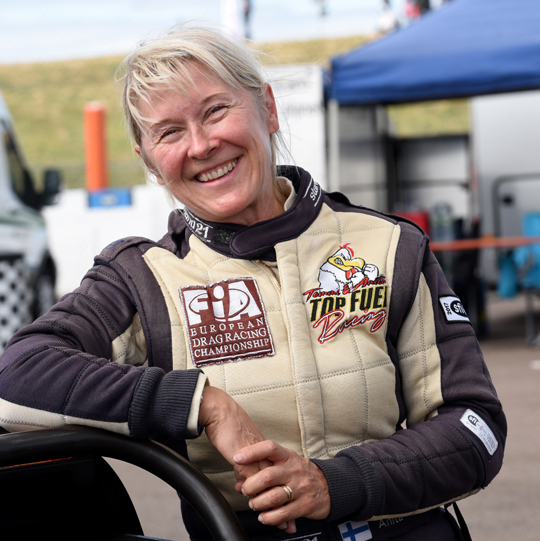 In eliminations the newly crowned champion was also in a class of her own and advanced to the final with a 3.872 second pass in the first round and a 3.899 second pass in the semi-final to defeat Stig Neergaard. In the final Mäkelä had to face Jndia Erbacher. The young Swiss racer defeated her father and multiple FIA European champion Urs Erbacher in the first round and recorded her first 3 second run with 3.99 seconds. 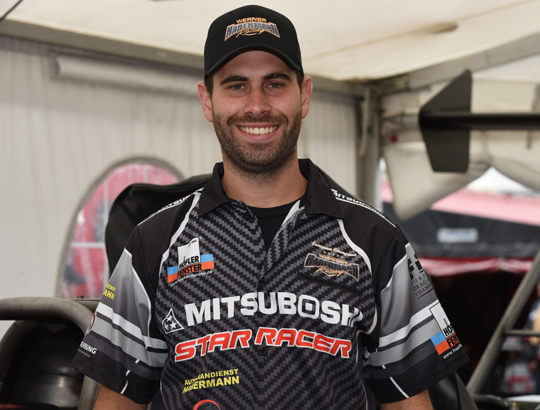 In the semi-final Erbacher defeated Antti Horto, the runner-up in the 2018 FIA European Top Fuel Championship. 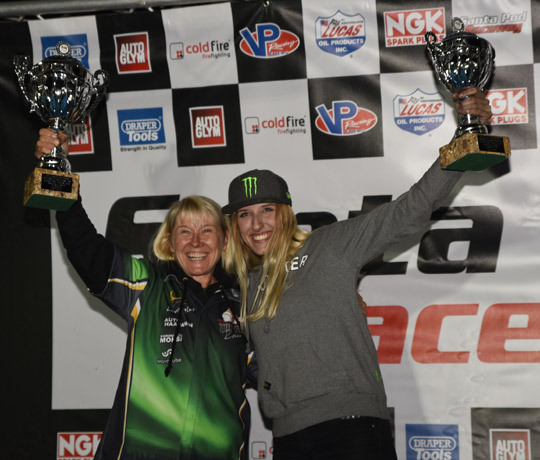 In the second all female final in the history of the FIA European Drag Racing Championship Mäkelä and her Finnish team once again proved their great form by storming to a winning 3.96 seconds to defeat Jndia Erbacher. Behind Mäkelä and Horto, Liam Jones finished the title race in third position. In Top Methanol Timo and Dennis had to face each other in the semi-final and the winner of that race would also claim the 2018 FIA European Top Methanol Championship. Timo, the 2017 champion, had the better start but Dennis recorded a winning 5.30 seconds to claim the 2018 title. In the final Dennis Habermann had to face Jonny Lagg. The newly crowned champion took the victory, his third of the season, in 5.34 seconds. Dennis and Timo Habermann made the championship for the second consecutive year a Habermann one-two, with Sandro Bellio in third position. 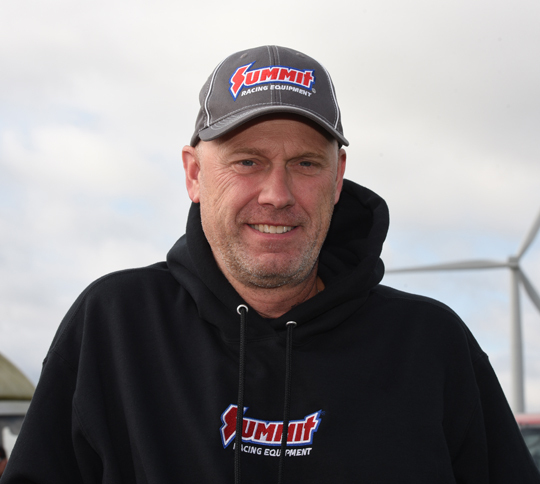 In Pro Stock the championship was decided in qualifying when reigning champion Bengt Ljungdahl claimed the number one qualifying position and gained the points he needed to clinch the 2018 FIA European Pro Stock title. Ljungdahl advanced to the final after defeating Robin Norén and had to face Michael Malmgren in the final as the former champion had a far better reaction time and defeated Stefan Ernryd in the second semi-final. In the final Ljungdahl claimed the victory in 6.66 seconds, the first win of the year for the 2017 and 2018 champion. Ernryd finished the championship in second position with Malmgren third. 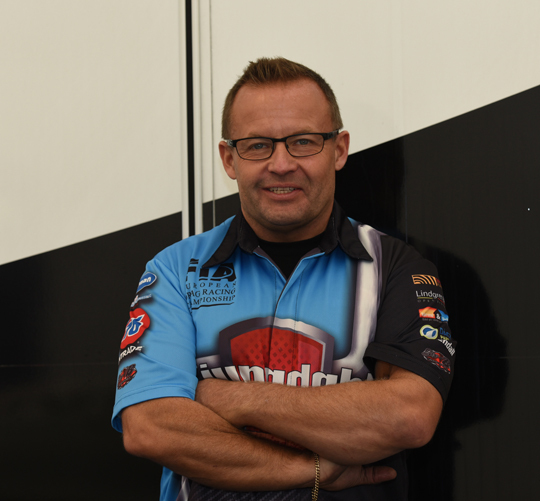 In Pro Modified Jimmy Ålund claimed the title before the start of the European Finals as the number two in the title race, Michael Gullqvist, decided to skip the last race of the season after technical problems in the race at Tierp. It was the first FIA European Pro Modified title for Ålund after winning ten FIA European Pro Stock titles. The newly crowned champion races into the number two qualifying position and being both quick and consistent the Swede advanced to the final with a string of 5.8 second passes to defeat Wayne Nicholson, Kev Slyfield and Andy Robinson. On the other side of the elimination ladder Jan Ericsson, the number four qualifier, was unstoppable and defeated Marcus Hilt and Mats Eriksson to advance to the final. In the final Ålund stormed to a great 5.87 seconds to defeat Ericsson (6.05 seconds) and claimed the win. Behind Ålund and Gullqvist, Ericsson finished the championship in third position.